I believe this package is somehow important but you won’t know its important until you are in an MBless situation and you needed to send a Whatsapp message to your beloved one’s or so. Though MTN has been trying this past few weeks with a lot of surprises to their customers and almost every week, something new seems to be unfolding… I can’t really say what they will unfold next week but I believe, something like Xmas surprises might come up… For God sake, you too tell me, who will I call with free 6,000 min? Early hours of this morning, I got a message from MTN and it thus read “Enjoy Non-stop chatting on Whatsapp for as low as N60 monthly…” and I’m pretty sure die-hard fans of Whatsapp will love this package. 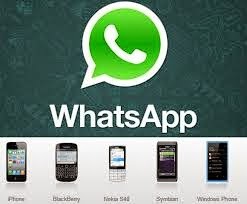 Since they say its unlimited Whatsapp, it should work on all device. Simply text WAM to 131 and N60 will be deducted from you MTN account to last your for 30 days. MeanwhileMTN BISstill rocks with Simple Server both on Android and PC. If you needed to download something heavy, just use the BBCDAY or you switch to Etisalat PayG. And if you are an AIrtel user, the code below might just do a wonder for you. Though it’s been posted before, but its still rocks. I just want to mention I am just very new to blogs and seriously enjoyed you’re web site. Very likely I’m likely to bookmark your blog . You amazingly come with exceptional articles and reviews. Regards for sharing your web page.